Four Seasons Sunroom – Complete! The completed Four Seasons Sunroom in Seekonk, MA that has been featured on our media outlets. 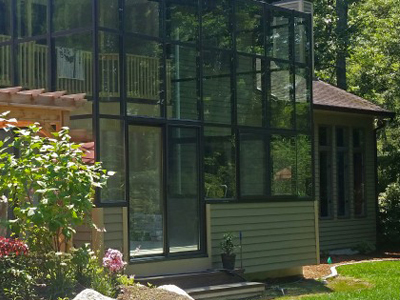 The crews at Clearview Sunroom & Window didn’t let thunderstorms and some pretty hot days keep them from providing this homeowner with a product that will enjoy for years to come! Call us today at 603-750-7577!!!! https://clearviewsunroom.com/wp-content/uploads/2018/10/CV-1-1.jpg 300 400 Clearview https://clearviewsunroom.com/wp-content/uploads/2018/09/logo.png Clearview2018-10-01 10:41:532018-10-01 10:41:53Four Seasons Sunroom – Complete! 4 Seasons 230 Sun & Shade in Concord, NH Severe Storms Today New England?